We caught up with LSA DJ and Logic Production graduate Kid Cut, aka Nick Burdick, to report on the signing of his track ‘Little Club’ to Toolroom Records. 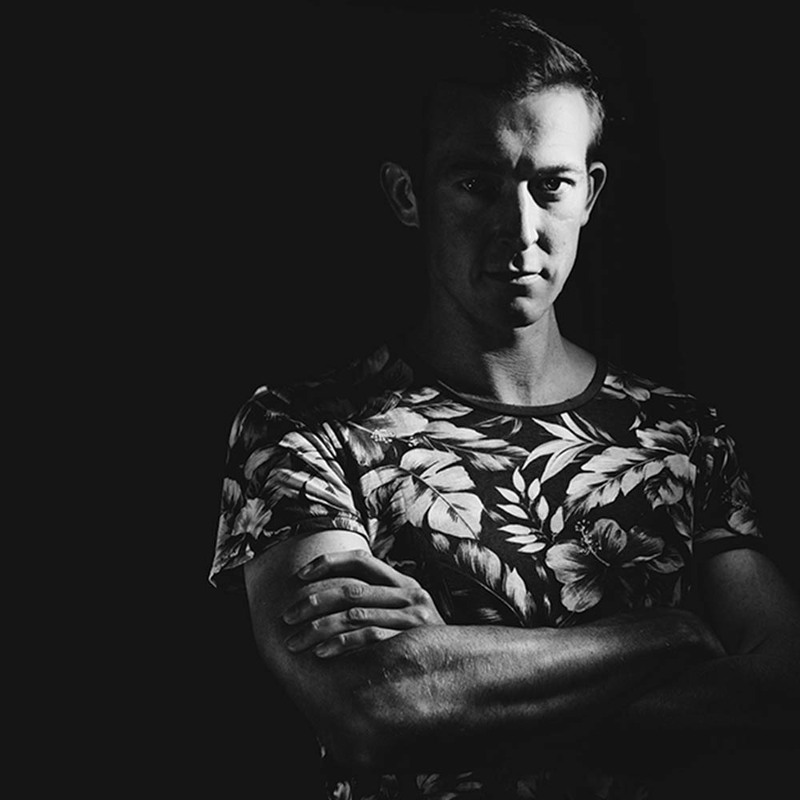 Nick has already been featured by us for multiple successes including; 2016 Winner of the Brighton Music Conference, 2016 Top 50 finalist in the Mixmag DJ Quest and 2017 Top 12 finalist in the Mixmag DJ Quest! This latest coup from Nick only adds to his profile as a one to watch! Hey Nick. Congrats on the release! Thanks, I’m a big Toolroom fan so it feels unbelievable to put a track out with them. So you’ve been a fan of the label for a while then? Yes, but initially as a DJ before I got into production. I loved the tunes that Mark Knight and the rest of the label were pushing out and so when I started producing my own stuff, it became a bit of a dream to release with them. How did you get into production? I’d been a DJ for about 10 years before I started. I’d come to the conclusion from chatting to people in the industry that if I wanted to get more DJ gigs, I needed to be producing my own music. I found London Sound Academy at the end of 2013. I had a load of lessons with Buster and that set me up with the basics of Logic. I think I actually did the beginner lessons and the intermediate ones all within a few weeks of each other. It was fantastic, I loved soaking up the atmosphere in Camden as I’d never been there before. So what’s been going on in the 4 1/2 years since then? I’ve been steadily working on my production skills and building up a decent sample library. I’ve also been watching loads (and loads) of online tutorials like Fader Pro. I’ve tried not to let the standard of my DJ-ing slide though. I still practice quite often and am always entering competitions. Even if you don’t win, you’ve suddenly got yourself a fresh new mix to use for promotion etc. I’ve also been DJing with LSA at Egg and Ministry and going to clubs like The Arch in Brighton to see other DJs play. It’s during those nights that I get inspired. I’ll hear a track that I like and I’ll go and try to recreate that vibe in my studio. So, in a nutshell, lots of learning, lots of practicing and lots of going out! Have you released any music before this track? I was lucky enough to have one of my tracks make it onto the LSA album at the end of last year. I’ve also had a couple of releases on Whartone Records. It’s run by DJ / Producer Sonny Wharton who I met at the Brighton Music Conference last year. I slipped him a demo with a few tracks on it that I thought he might like and two of them were signed to the label a couple of days later. Sonny has been a great mentor. It’s really useful to have someone to ask questions to about contracts and the sort of stuff you’re less familiar with when you first start producing. How did the Toolroom release come about? Well, I had actually pitched a few tunes to them about 6 months ago. The A&R guys were really helpful and gave me some great feedback. They liked the tracks but said they weren’t quite right for the label. I carried on working on new stuff and eventually had about 5 tracks that I wanted to submit. I decided to really work on the presentation this time round. I had just stuck a USB to a postcard last time I sent them a demo. At the end of the day, it’s your art and how you present it is important. I spoke to my brother who has a design studio and together we came up with the idea of the USB box. 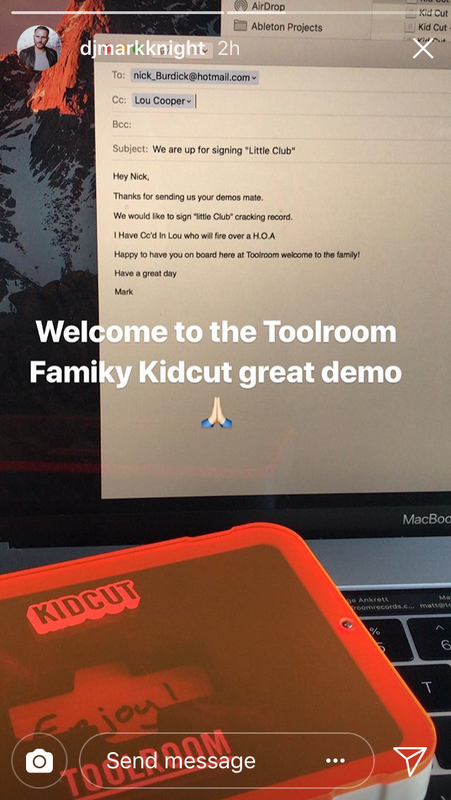 We engraved my Kid Cut logo and the Toolroom logo onto it and I think that’s what caught the label’s attention. Luckily they also really liked the music! How did you find out you were going to get signed? 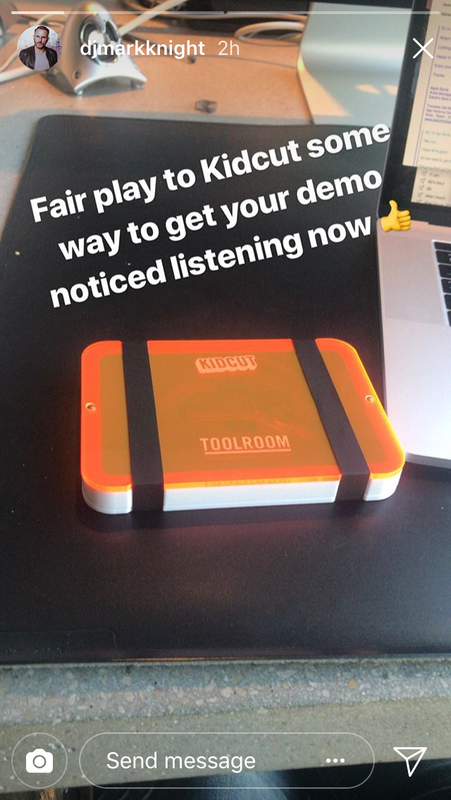 Mark Knight himself posted a picture of my demo on his Instagram with th caption ‘some way to get your demo noticed listening now’. He liked one of the tracks enough to sign it so I got the contract through the next day. How to get attention when sending in a demo! It worked! Signed to Toolroom! What’s next for Kid Cut? I’m playing at a festival called Nozstock in July and I’ve also got 2 EPs coming out around that time too. One is going to be released on Whartone and the other will be coming out on a brand new label called Kukushka which I’m really excited about.